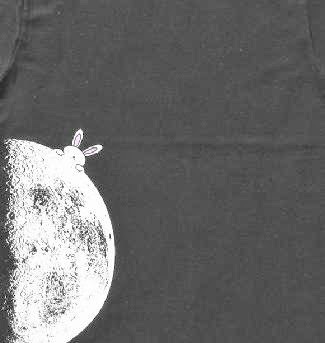 Mei Xin: I am a 29-year-old Chinese Special Agent (F) who works for the Chinese government on the Orion system. I wear sneakers, jeans, a short-cut leather jacket, and carry a 2mm flechette pistol. My biggest problem is alien smugglers bringing in photopsychedelics from uninhabited planets. Or, that's my second-biggest problem. Holy cats. Do you want a really good software Foley instrument? Dig these free ones from Signo Audio Designs. They're for Kontakt (you need the full version, not the free version, ironically.) Signo has some very nice instruments for Foley. Reasonably priced, too. From Text to Speech is a pretty good text-to-wave web app. The easiest way to determine your skin undertone is to look at the veins on your arm. If they are green in color you probably have warm undertones, and if they are blue you are most likely cool. You can also tell by the color of clothes you gravitate toward. My neighborhood is the best. Languages included in the institute's easiest category are Danish, French, Italian, Spanish and Swedish. And languages in the hardest category are Arabic, Cantonese, Japanese, Korean and Mandarin Chinese. 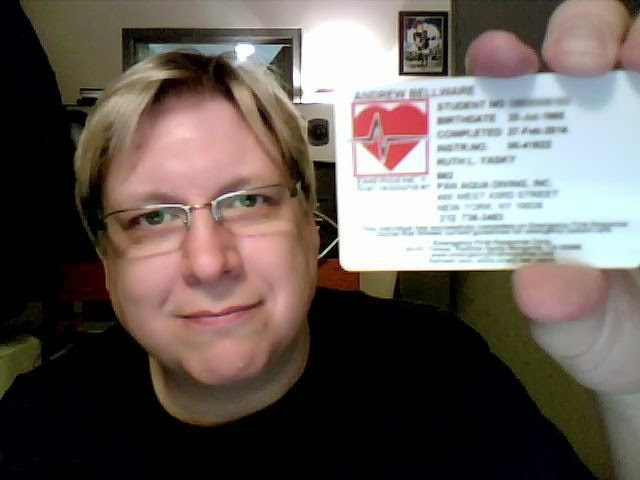 I got my EFR card. It means something very close to nothing at all. It means I said I understood the things I got wrong on my test. And it means I watched a video and beat up a CPR dummy. But it's kind of cool to have done it. Everyone should, really. I've seen those Video Copilot bullet holes before. Heck, I've used those bullet holes before. The opening shot was pretty nice actually. Ooh. That blue anamorphic lens flare. I just spent the morning putting that same flare on a bunch of shots in our robot cop movie. Maybe I'll back off on that a little. I'm gonna guess that's a VC heat distortion behind the flying craft. The flying craft is okay. The bullet impacts look composited. This is a problem I have too. It's really hard to get them to fit properly so that it really looks like the wall near the actor's head is getting hit. The autocannons look pretty nice. Good idea too. Look. I totally wanna see Android Cop. The Asylum went for a Robocop-remake mockbuster as did we. The 'copter effect they have is actually pretty nice. And I dig the robot armor. And they made their street date. We did not. Lionel Barry is the father of the boom pole. I'm still watching Stu Maschwitz in his tutorials on color-correction. They are extraordinarily enlightening. Ha! Get it? 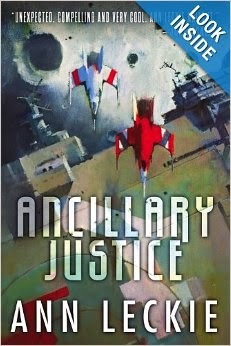 So proud of self am I.
Ancillary Justice is a pretty brilliant book. There are some super interesting things it does like, for instance, the lead character confuses the genders in the society she lives in and ends up referring to everyone as "she". Some of the characters are clearly male and clearly female. Not many of them. In fact I'd have to read the book again but I'm not 100% sure the narrator is female. It's fascinating how much of one's brain is taken up with wanting to know characters' gender. The narrator refuses to give it to you. And it just happens so organically. Pronouns. Messed up. Brilliant. Lessee. Complaints. I feel like the story slowed down toward the end. The artwork -- the book is actually aesthetically more in the Warhammer 40,000 universe and grimdark than in the sort of older-fashioned sci-fi world the cover depicts. Uh. That's about it.